Buying The Firm That Makes Hepatitis C Drugs Could Save The U.S. Money : Shots - Health News Most of the millions in the U.S. who are infected with hepatitis C can't afford the cure. 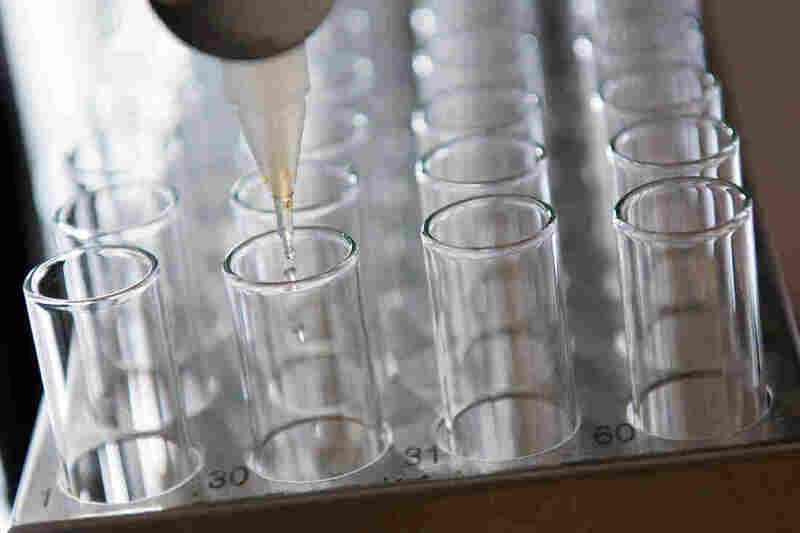 Some say the U.S. could save money and cure more people if it bought the drugmaker Gilead Sciences Inc.
Should The U.S. Government Buy A Drug Company To Save Money? Gilead Sciences Inc. makes the two leading drugs that can quickly cure hepatitis C infections. But most patients can't afford the expensive drugs, and states restrict their use among Medicaid patients. David Higginbotham contracted hepatitis C more than 35 years ago. He'd like to rid his body of the virus, but Colorado's Medicaid program says he's not sick enough to justify the cost. Since 2013, when Gilead Sciences Inc. released Sovaldi, the first medication that can reliably cure hepatitis C, health insurers and state Medicaid programs have been coming up with ways to limit access to it and a sister drug, Harvoni, because they're priced so high — more than $80,000 for a 12-week course of Sovaldi at the outset. Both drugs are produced by Gilead, and their price has dropped some, as competitors have hit the market, but Higginbotham still hasn't been able to get the cure. Gilead isn't the only company that produces expensive drugs. Prices for prescription medications for various conditions have been rising faster than inflation for years. President Donald Trump says the pharmaceutical industry is "getting away with murder," and he's vowed to do something about it. So what could he do in the case of hepatitis C medications? One solution that's been proposed is to buy the company. Specifically buy Gilead Sciences Inc.
Dr. Peter Bach, the director of health policy and outcomes at Memorial Sloan Kettering Cancer Center in New York, says the U.S. government could save money and treat everyone in the nation who has hepatitis C if it bought Gilead Sciences, rather than just buying Gilead's products. Hepatitis C kills more Americans than any other infectious disease, according to the Centers for Disease Control and Prevention, and it leads to a liver transplant more often than any other condition. 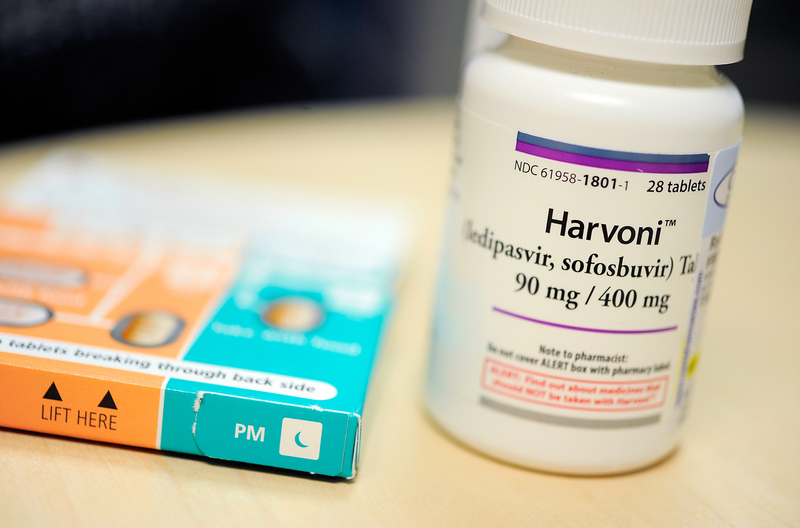 A year after Gilead got FDA approval for Sovaldi, it launched Harvoni, — a combination medicine that includes Sovaldi's key ingredient and a second medication that attacks the hepatitis C virus in a different way. Sovaldi and Harvoni are the first drugs to consistently eradicate the virus, which has infected an estimated 2.7 to 3.3 million people in the U.S.
Bach says that in the three years since the drugs hit the market, only about 600,000 people have been treated — a low number considering there is a cure available. Gilead Sciences' Harvoni can cure hepatitis C, but costs tens of thousands of dollars for a course of treatment. "We're doing a pretty poor job right now of finding patients with hepatitis C," he says. The slow uptake, Bach says, is because of the drugs' price. When Harvoni came on the market, it was listed at $94,000 for a course of treatment that cures most patients. The price has since dropped to about half that, but is still out of reach for most people. Medicaid programs are limiting access and many insurance companies list it as a specialty drug and cover only a percentage of its cost. "Because nobody can afford Gilead's prices, there really isn't much sense in investing to go find these patients and get them into treatment," Bach says. He says the U.S. government, however, could cut the cost of treatment by almost two-thirds by buying Gilead on the open market – its market capitalization on March 17 was about $90 billion — and selling off all its assets except the U.S. rights to Sovaldi and Harvoni. The savings would be three-pronged, he explains. The cost of treatment would decline. The disease would stop spreading. And the number of liver transplants prompted by hepatitis C infections would drop significantly. "There's a queue right now for liver transplants, so it will free up those livers for other people who have other diseases that we can't cure who otherwise will die," Bach points out. That would help states like Colorado, for example, which is limiting access to Medicaid patients because the costs of treating everyone at once would be too high. If the state were to treat every Medicaid beneficiary who is diagnosed with hepatitis C, it would cost an additional $500 million. So to get the drug, Higginbotham has to wait until his liver is more damaged that it is today. Bach says if the federal government treated hepatitis C as a public health issue, rather than as a Medicaid budget problem, buying Gilead would make sense. Gilead's senior vice president, Gregg Alton, says Bach's idea is thought-provoking. What it really demonstrates, Alton says, is that the system to pay for prescription drugs isn't equipped to deal with quick, expensive cures. "Because we have a cure, the costs are paid in a short period of time," he says. "Our payment systems have a real tough time with that because they're used to these sorts of long-term, chronic therapies that pay a little bit at a time – but, over time, cost a lot more." In other words, it can cost a lot more to treat diabetes or multiple sclerosis over a lifetime than to cure hepatitis C in three months. From a public health perspective, buying Gilead isn't a bad idea, says Sara Fisher Ellison, an economics lecturer at MIT. But that assumption rests on the notion that the government would buy the company's shares at full price on the open market. That would avert any reaction from drugmakers or other companies who would fear that the government could use its power just to force them to lower prices. "The reason this proposal could work is that right now the drugs are only serving a fraction of the potential patients," Fisher Ellison says, "and there's a big public health benefit to serving all of the patents. That's something that Gilead doesn't take into account in its pricing policy, but it's something that a government does take into account." The idea is a long shot of course. But Higginbotham, who is still waiting in Colorado for his chance to take the hepatitis C drug, sees an opening with Donald Trump in the Oval Office. "With our present administration," he says, "a hostile takeover might be just up his alley."